The New York Times featured a profile on Dan and his restaurant, White Street, in their Style section on July 15th. 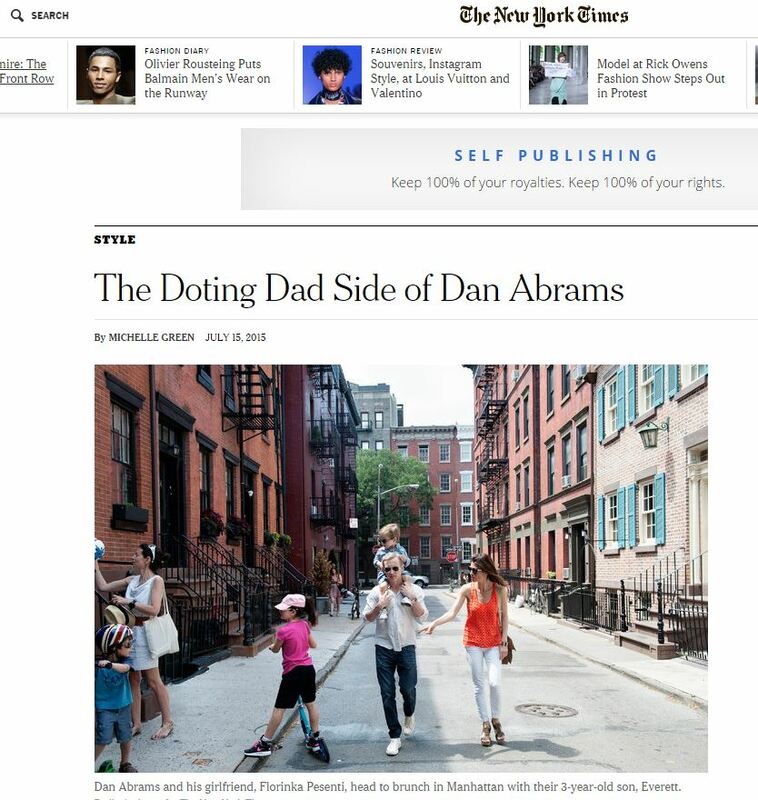 It not only highlighted Dan as a father and was entitled “The Doting Dad Side of Dan Abrams.”, but it also delves into the restaurant partnership between Dan and longtime friend, Dave Zinczenko. “Last September, Mr. Abrams and Mr. Zinczenko switched gears by opening White Street in TriBeCa,” the article writes, “In the evenings, the soaring space is defined by Venetian mirrors and velvet drapes. On the weekends, it morphs into a skylit brunch spot with a V.I.P. lounge for children.” The author spent the day with Dan and his family near their home in NYC, “On a dazzling Friday afternoon, Everett Floyd Abrams, 3, was racing down the sidewalk in the West Village, neatly steering past pedestrians. Pedaling a pint-size bike with training wheels, his duckie-blond hair nearly hidden by his helmet, he was headed west on Grove Street. Running flat-out behind him was his father, the journalist Dan Abrams, ready for action in a baseball cap and high-tops.” Read the full article here.